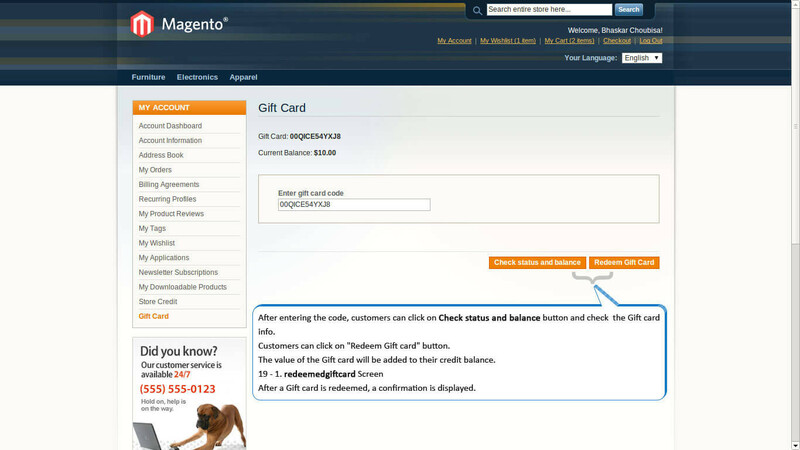 Magento Gift Card Extension allows you to buy online gift cards for your friends and family. They can then use these gift cards to pay for products purchased at your store. 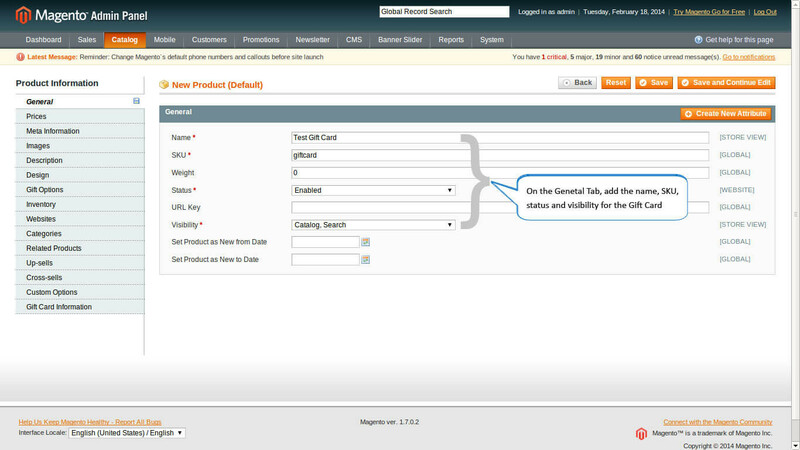 The Magento Gift Card Extension helps boost sales for your store by adding a touch of personalization. 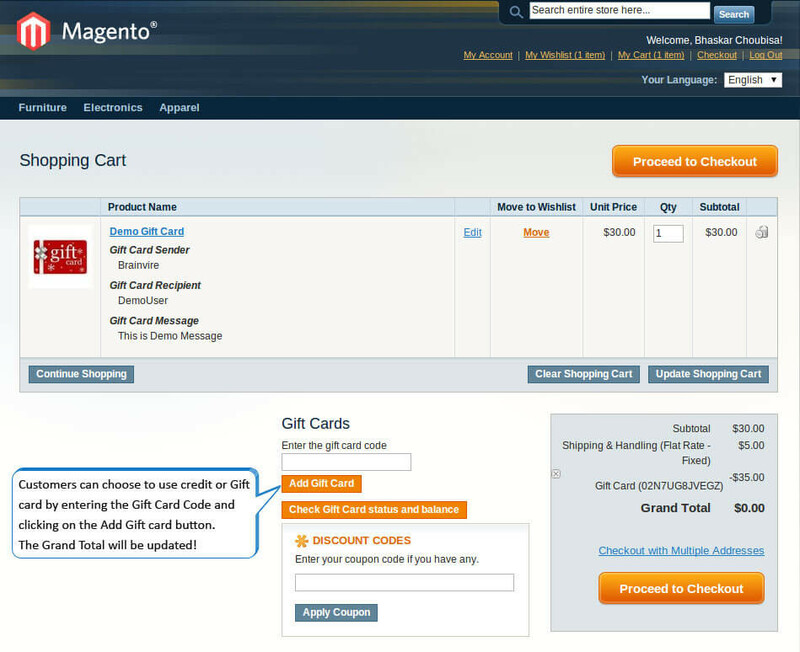 It allows your customers to create gift cards for their friends and family. These gift cards are later on used to pay for purchases made at your store. Online gifts trends are quickly catching on rather than the traditional way of wandering from shop to shop looking for gifts. The Gift cards extension enables you to offer gift cards in Virtual, Physical, or Combination format. 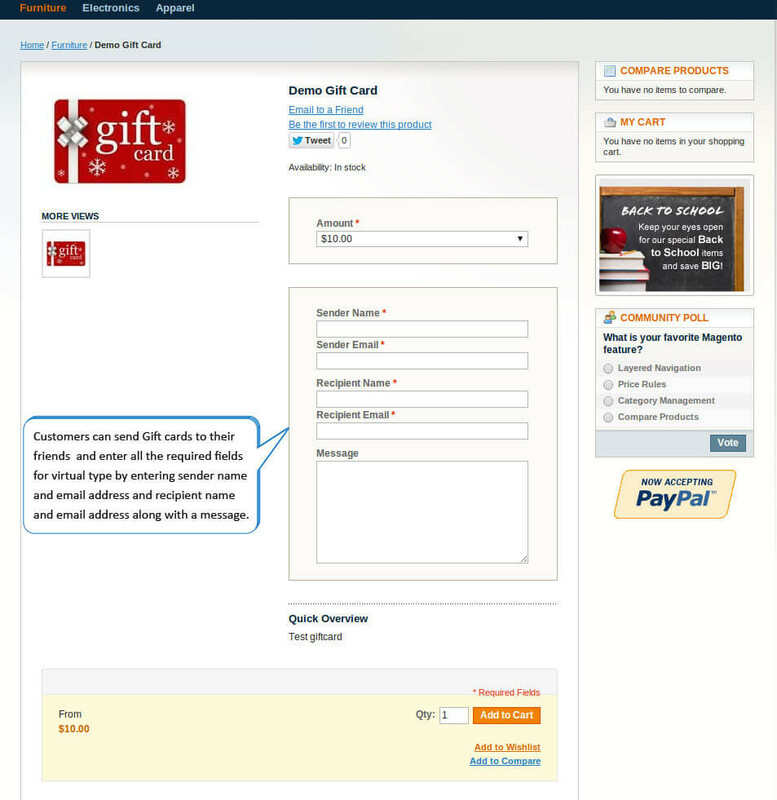 When a customer orders a virtual gift card, a code is sent to their email address that can be used at the time of purchase. 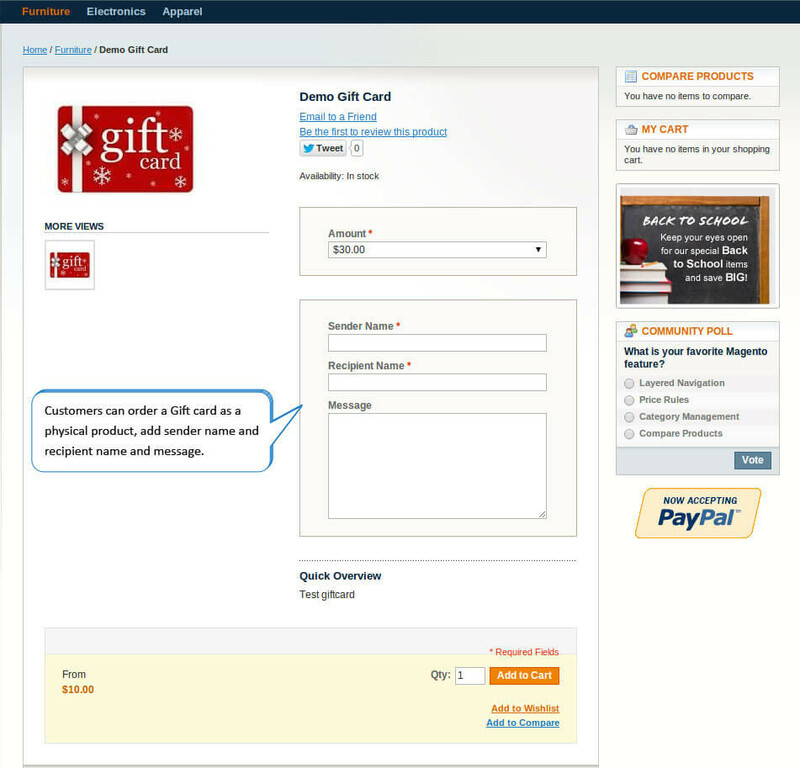 If a customer orders a physical gift card, it is exported for printing. 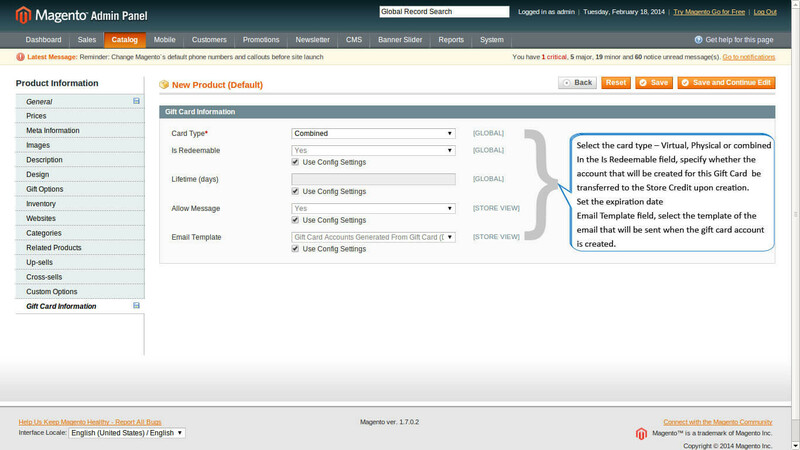 The unique number that is generated can only be redeemed by one customer. The store owner must create a Gift Card Code Pool before enabling this for customers. The codes are unique with a specific format. 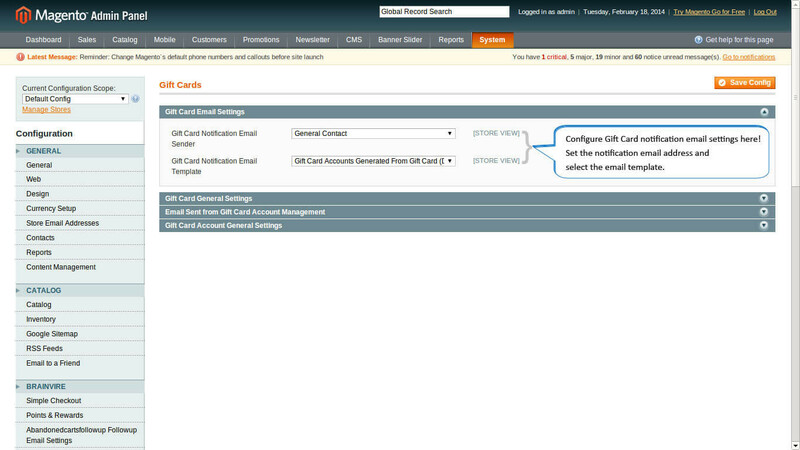 Each time a Gift Card is created; one code gets permanently assigned to it. 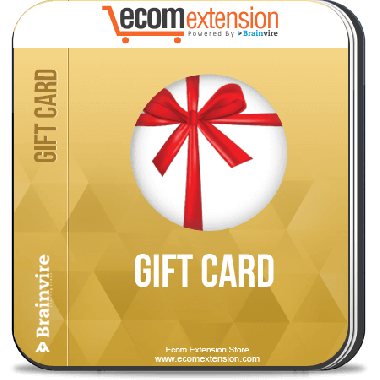 The Gift card Extension is Lightweight fulfills the task with minimum obstruction and is in line with the Magento Standard Workflow. Customers can choose gift cards of different values at their convenience – either from a drop down or enter a preferred amount from a range. 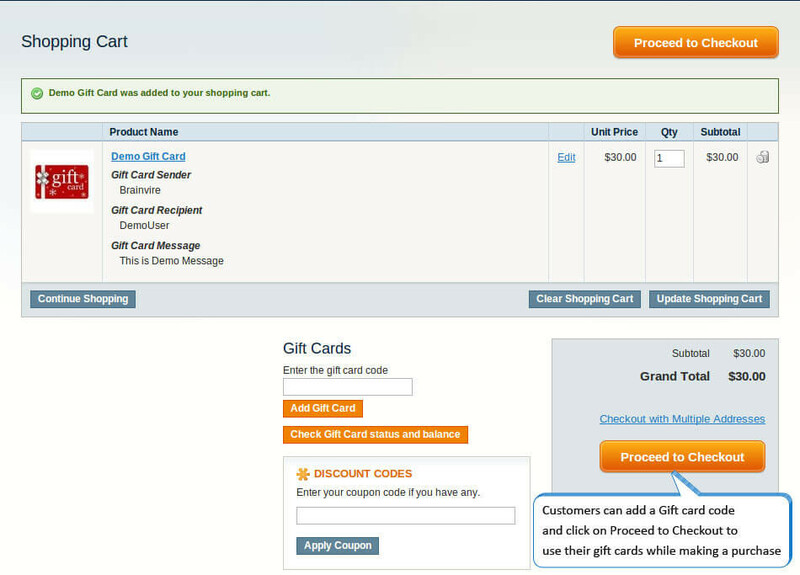 Gift cards can be presented to others or used by customers for making purchases. 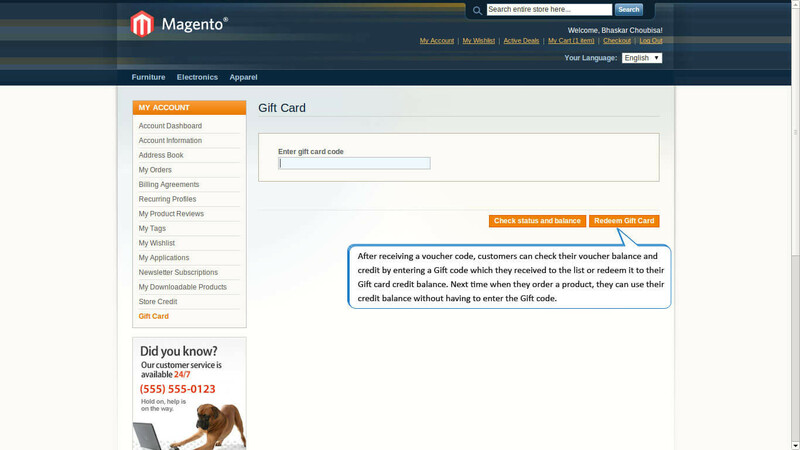 The customers can also decide to send the gift cards on the specific date. 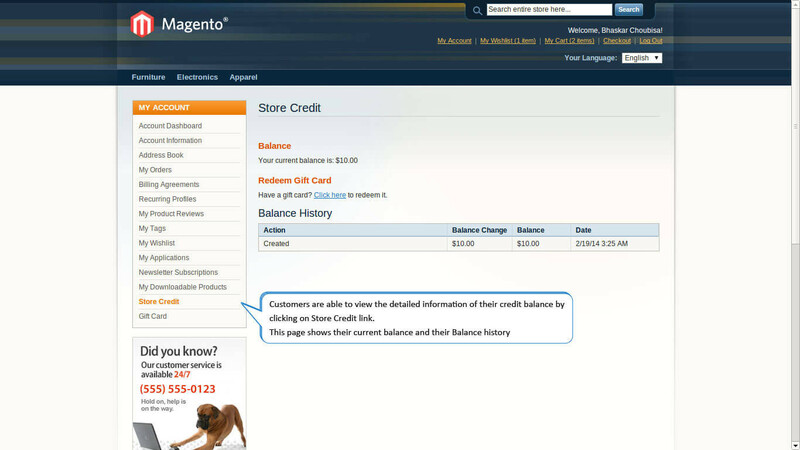 Customers can redeem their Gift codes to a credit balance and use this balance as a payment method in checkout. 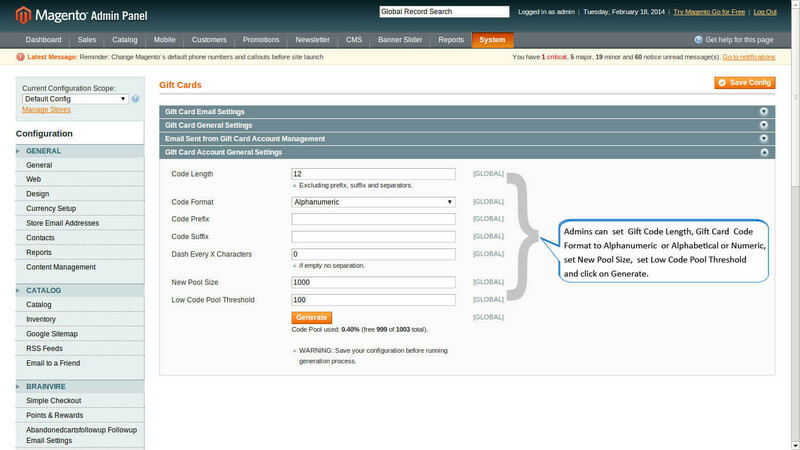 Customers can quickly check and manage the Gift card codes. 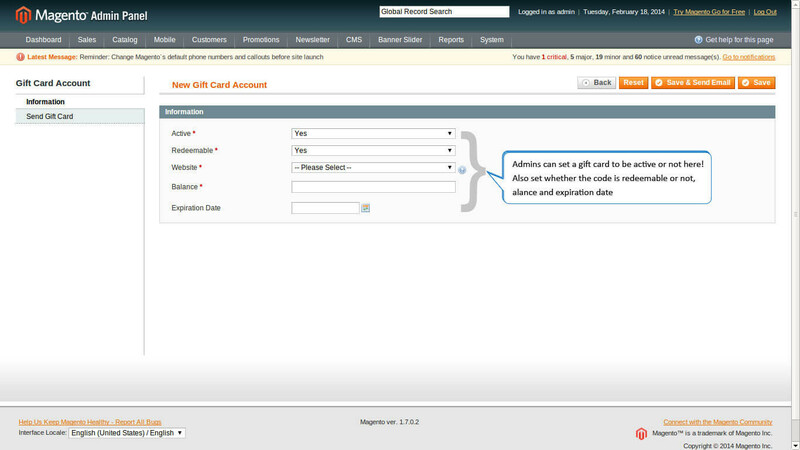 After a customer purchases a Gift Card, the system automatically adds Gift codes to their Gift card list. 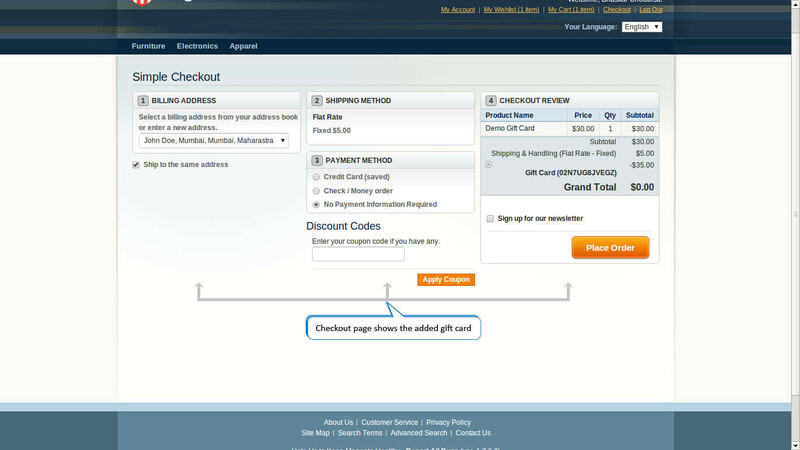 The gift cards can be used by customers as a discount in payment or a payment method while checkout. 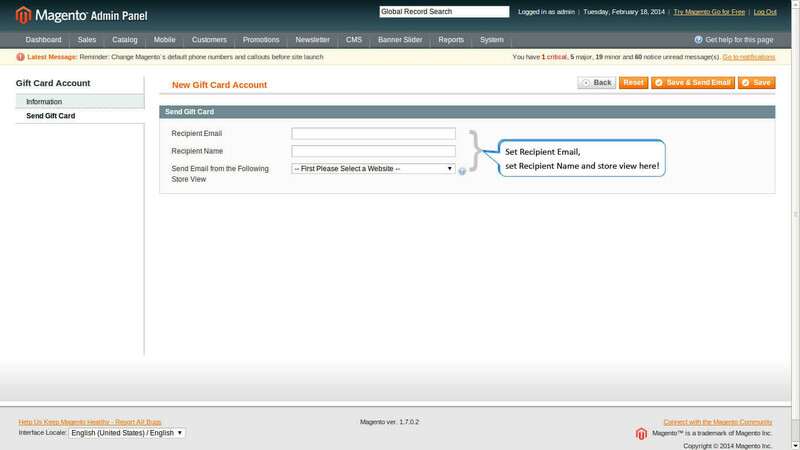 Customers can select to receive Gift Cards via email or Post. 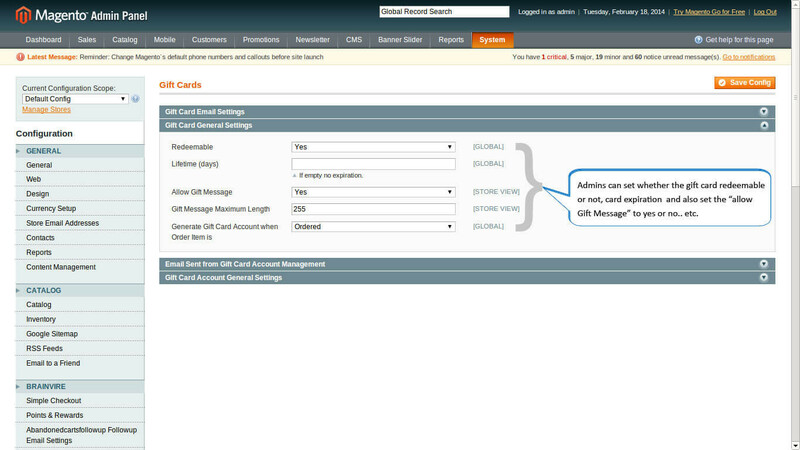 Admins can generate gift card codes for customers or import gift codes that are used offline. Gift Codes are generated using a pattern or random. 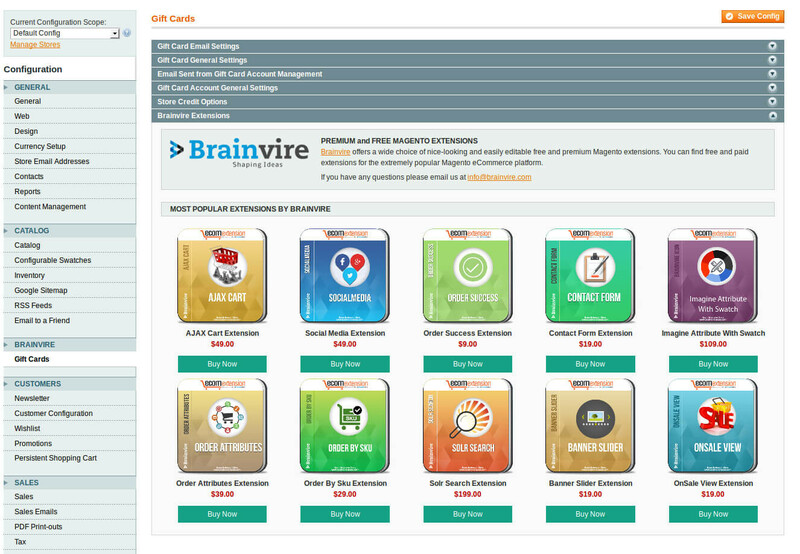 Each Gift Card has a unique code and the quantity can be configured by admins. 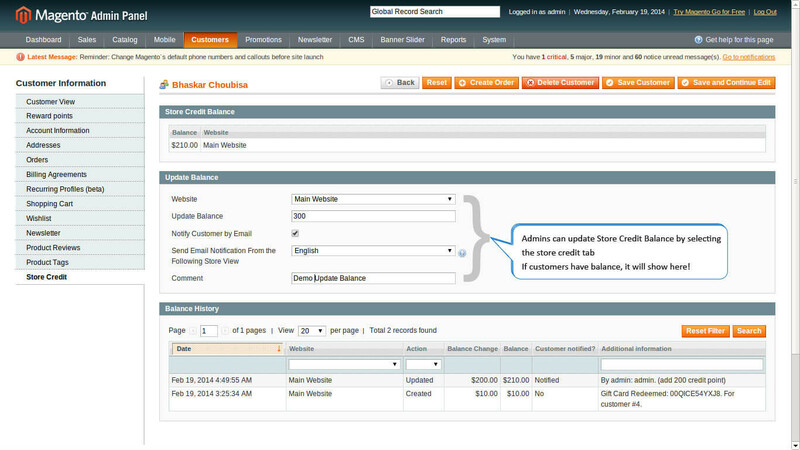 An auto email is generated and sent to card recipients and customers. 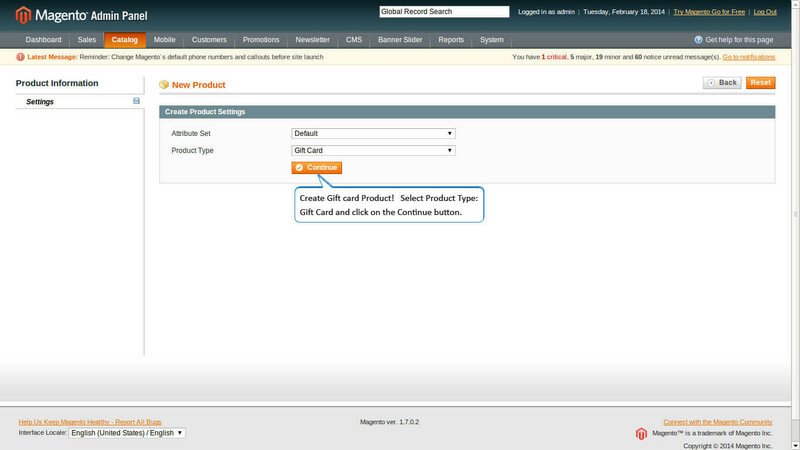 Admins can configure what will be displayed on the gift cards product page. 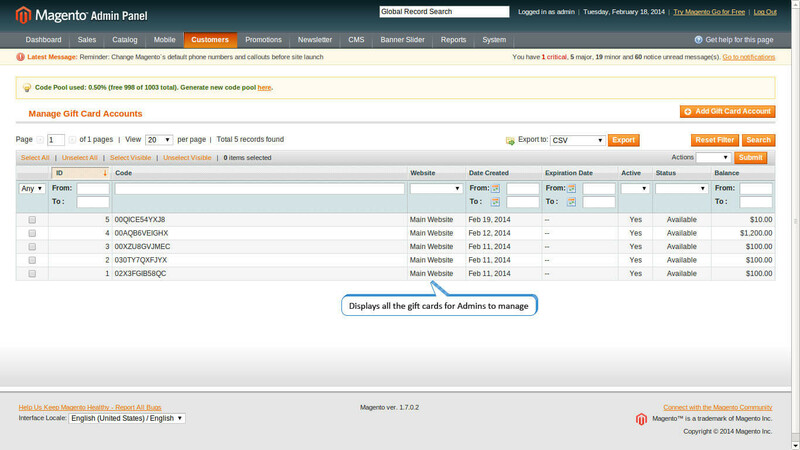 Set values of Gift card products to be shown as a drop down, fixed amount or a price range. 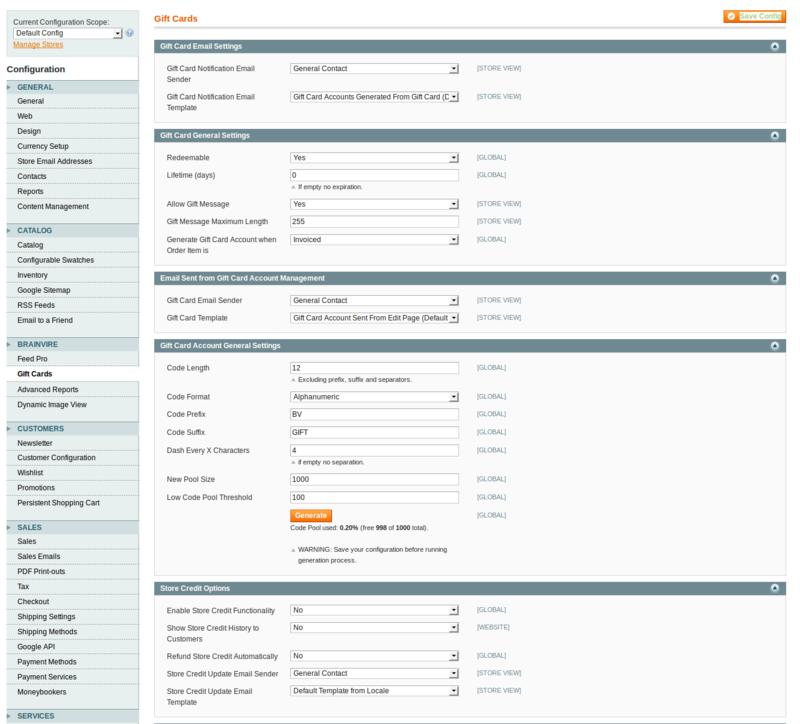 Status of vouchers is updated automatically so that Admins can easily keep track. 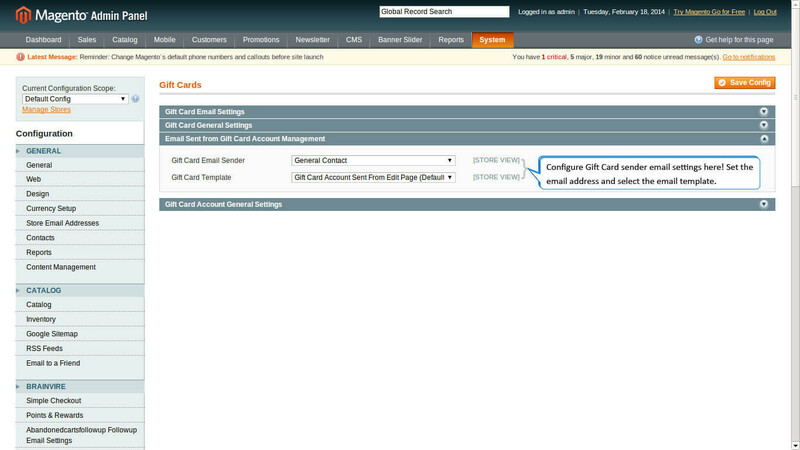 Admin can Activate / Deactivate the Gift Card Accounts selectively or all together. 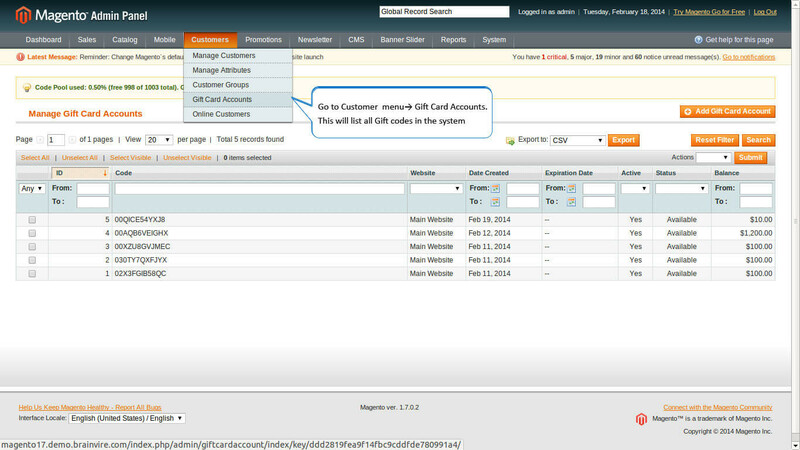 Admin can manage the Gift Card Accounts easily. 100% open source. 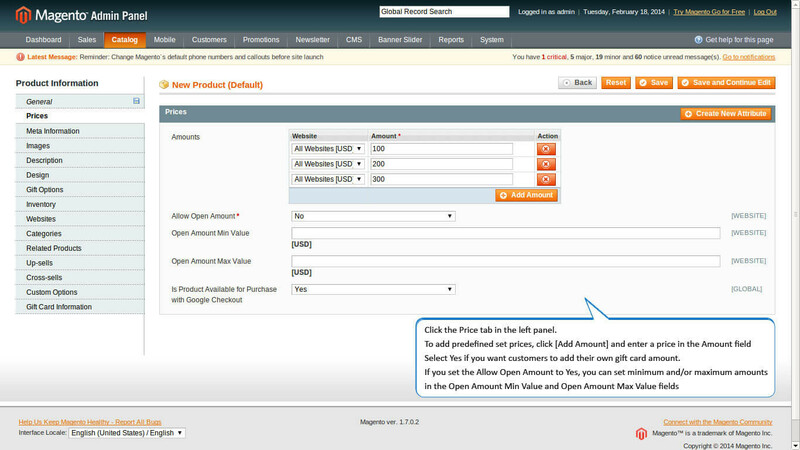 Show according to catalog or shipping price rule.